The Orava Gallery was officially established on 3rd November 1965, however, at that time without any collections or premises. On 14th February it acquired five rooms in the Renaissance building No.9 in Oravský Podzámok, where some offices and a depository were established. Preparatory Committee for Establishing of the Orava Gallery, namely Ctibor Belan as a Chairperson, Jozef Mlynarčík as a Secretary and the members: Mária Medvecká, Běla Kolčáková, Ignác Kolčák, and Pavol Sika (Secretary of the District National Committee) started to work at the beginning of the 1960-s and on 3rd September 1965, effective since 3rd November 1965, the Orava Gallery was established with its location in Oravský Podzámok. Since its establishing, the Gallery’s profile was well-defined – according to the effective regulations, besides general gallery work it specialized in non-period-style segments of art. Among main activities of the initial period were collecting and research works. During the first two years of its existence the Gallery gathered 1920 exhibits that became foundation of the future collections. Young Orava Gallery undertook management of two wooden Late-Gothic churches in Tvrdošín and Zábrež and such securing their legal and effective protection and prevention from any further damaging. In sixty-six villages was performed a research. Foundations of a specialized (technical) library were laid down. The Gallery provided its expert assistance when developing a construction study of the Orava Open-Air Museum in Zuberec – Brestová, when listing movable cultural relics of the Orava region and when writing conception of utilization and protection of cultural heritage of the Dolný Kubín district. The Gallery provided research, publication and lecturing activities. During next years the Gallery concentrated on exhibition activities. In 1970, when obtaining adequate exhibitory premises, the Gallery moved to the County Building at Hviezdoslav square No.11, in which the Gallery is located up to this day. Establishing of the Gallery prevented from getaway of works, especially of a number of folk art pieces that are an irreplaceable evidence of historical development. 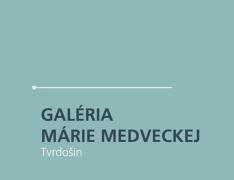 The Gallery specialized in Gothic sculpture and painting, Baroque art, 19th century art, founders of Slovak Art Modernism as well as representatives of the next generations. From among the Slovak regional galleries, the Orava Gallery’s collection of art works belongs to the most numerous and qualitatively most significant ones. Present shape of the Gallery proves how the institution, originally specialized just in regional art, had developed to the institution of a national importance. Besides other matters, this was caused by the fact that almost all significant Slovak painters (especially of the 20th century) were affected by the Orava inspiration. The Gallery has three permanent exhibitions located in three districts of the Orava region, it operates a personal ship and since its establishing each decade has been devoted to specific constructional efforts with consequential opening of a new exhibition. As early as six years after its establishing the Orava Gallery prepared for the public such a jewel as the exhibition of Slovak traditional folk art at the Slanica Island of Art is. In 1979 another permanent exhibition in Tvrdošín was open. The exhibition is devoted to a life-long work of Mária Medvecká. In 1987 a general reconstruction of the County House began. The Gallery moved to the Kubíny Manor House in Vyšný Kubín, but remained to operate the Slanica Island of Art and Mária Medvecká Gallery. Despite the fact that all the activities needed to conform to the building reconstruction, the Gallery continued in exhibiting activities. Moreover, preparation of the new permanent exhibitions for the renovated County Building in Dolný Kubín was needed, which required precise restoration art works. In 1994, the general reconstruction was completed and the Gallery acquired 1.800 square meters of exhibiting area. Main investor was the Slovak Ministry of Culture and the general contractor was the STAR a.s. (former Pamiatkostav). Twelve other subcontractors were involved in various works and crafts. About 30 million Slovak crowns were invested. In 1995, the Orava Gallery opened new permanent exhibitions from its own collections in the County House. Author of the permanent exhibitions’ concept was general commissioner PhDr. Eva Ľuptáková who cooperated with professor Ľudmila Peterajová. Space arrangement was designed by akad. mal. Pavel Choma, akad. arch. Dušan Voštenák and Ing. arch. Viera Chodelková, who cooperated with the participants of the workshop RE-UM-A 95 involving students of architecture and scenography, Orava Gallery’s workers and the company Špiko from Žilina. All works had been managed by M-ART AGENCY - Marián Vestenický from Martin. Newly reconstructed County House and new exhibitions were opened on 29th September 1995. Slovak art jewels of the 15th – 20th centuries, being collected for the decades, such received a dignified building, interesting art installment, and what is most important, a number of a few existing permanent art exhibitions in Slovakia raised. The Gallery was awarded with an annual prize of the PAMIATKY A MÚZEÁ journal (National Heritage and Museums) for the best Slovak exhibition in the year 1995. Traditional Folk Art: mainly represented by wooden polychromic plastic art, stone sculpture, painting, and underpainting on glass. 15th - 19th Century Art: represented by Middle Age table paintings and plastic art, Baroque sculpture and paintings, art works of the 19th century, and icons. 20th Century Slovak Art: paintings, sculptures, drawings, graphics, photographs and utility art. It is mainly represented by works of so said “Founders Generation” – Generation 1909 and of an interwar period. Among the most numerous collections is a collection of members of a former Mikuláš Galanda Group that has been gradually complemented with art works of the middle and the youngest generations. Foreign Art: represented by paintings, sculptures, graphics, photographs, and textiles. Naive Art: mainly represented by Štefan Siváň’s woodcarvings, wooden and stone sculptures, paintings and utility art. History of the Orava Gallery’s establishing and gathering of the collections is closely connected with short-term exhibiting activities. 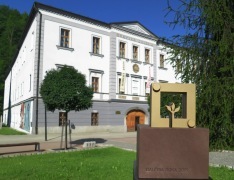 The first exhibition installed in the Orava Gallery’s premises of the County House in Dolný Kubín was at the beginning of the year 1970 that had lasted without any interruptions until 1987 when due to the reconstruction began to exhibit first in the Town Cultural Center and since 1991 in the Florin’s House. Since 1995 the Orava Gallery has been providing short-term exhibiting activities again in the County House – at the Great and Small Exhibiting Halls as well as at the “Basement 06” and a courtyard on the area of about 1000 m2. After four decades of existence of this gallery, that was called “Orava Pike” when being established, it is very gratifying that its profile has not changed but up to this day it has been consistently performed and further developed.